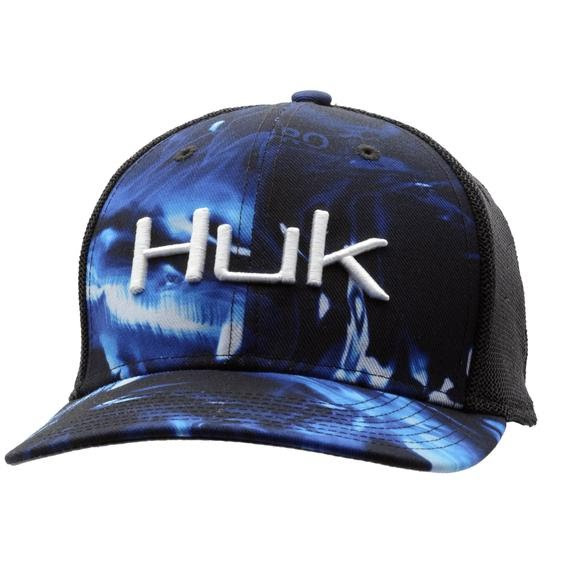 Superior fit design, a structured with buckram, mid-profile trucker stretch with 3D embroidery Huk logo. Featuring a dark gray under visor to fight glare, comfortable moisture-wicking sweatband and Mossy Oak Elements and Subphantis patterns. Combining the classic trucker stretch with Huk's performance, durability and comfort. Superior fit design, a structured with buckram, mid-profile trucker stretch with 3D embroidery Huk logo. Featuring a dark gray under visor to fight glare, comfortable moisture-wicking sweatband and Mossy Oak Elements and Subphantis patterns. Combining the classic trucker stretch with Huk&apos;s performance, durability and comfort.